You told me you were there to take an entrance exam to get into the college, and that it was your fourth time trying. You told me that you were unable to take the exam because you had previously failed it three times. I asked you why you kept failing and you said you were dumb. I don’t think you are. I watched you compliment at least three people when I was in your presence. I listened as you conversed with another student about your future plans. I was impressed that you were able to articulate your plans to me about what you wanted to take classes for and what you hoped to become. The only thing you need to be successful, you already have: a willingness to learn. You WANT to be in college, and you are doing whatever it takes to get there. You also have the gift of tenacity. The fact that you were there to take the test for the fourth time says a lot about your character and work ethic. You are just 18 years old. You are at the beginning of everything. Do not give up. Do not get down. Do not underestimate yourself or the gifts you have. Keep being nice to others. Maintain your place on the path you have laid out for yourself. Keep trying. Believe that you can, and you will. Live Binder of iPad resources for schools. I put together a Live Binder of resources for iPad implementations going on in schools this Fall. I am working with several school systems around using iPads for instructional purposes, and thought I would share the resources I collected with everyone! 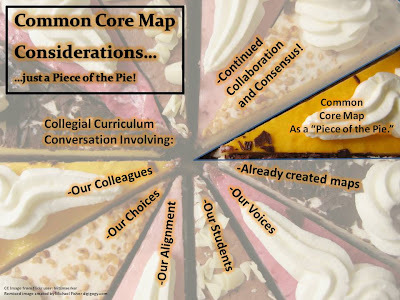 Late last week, a colleague of mine, Janet Hale, sent me a link to the new drafts of the Common Core Curriculum Maps for English/Language Arts, created from the Common Core Standards. If you head over to http://www.commoncore.org/maps/ you can see the draft plan yourself. 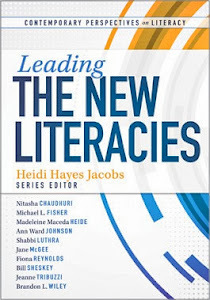 When I start looking at them, I’m obviously looking for some specific elements that would differentiate the articulation of the standards into the design and practice of teaching. I was looking for the “action plan” if you will, of how the standards filter down to the students. I like the usage of the words “Suggested” and “Sample” in terms of the map elements, implying that this should INFORM the actual operational curriculum of a school, and NOT BE USED VERBATIM in their current state. As we begin to understand how to implement the ideas represented by these map samples, we need to keep in mind that they don’t represent our own collaborations or conversations and the needs of our specific students. The essence of mapping is the collaboration, conversation, and consensus of our colleagues. The map itself is a by-product of all of that. 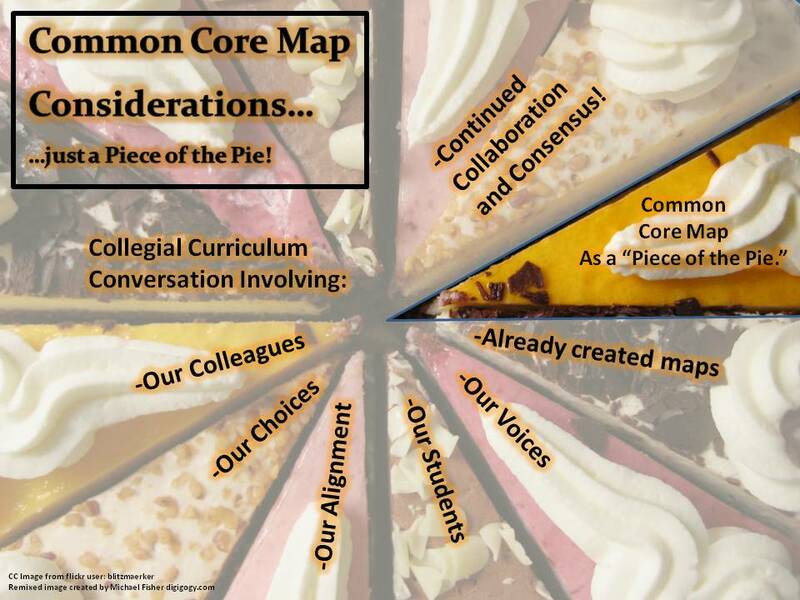 The common core map doesn’t represent our conversations, collaborations, or contributions at our own schools. What this means, in terms of real usage, is that this cannot be the actual adopted form for a school district. This must be seen as more a frame for developing our own, district specific maps (which is mentioned in the FAQs). When considering this as a framework for your district’s maps, note that some of the objective statements don’t have measurable targets (how the objective will be measured). Some objectives appear to be activities, rather than true, transferable skills. There needs to be some careful consideration around the suggested assessment and how these assessments relate to the teaching and learning of the objective rather than just the standard. (Meaning a discussion of alignment of those measurable targets is important.) Also, there need to be more opportunities on your district’s maps that represent 21st Century skills, specifically using technology, critical thinking, analysis, and creation of alternative products for assessment purposes. For those just beginning the mapping process, this is an okay first step in understanding the basics of a map. 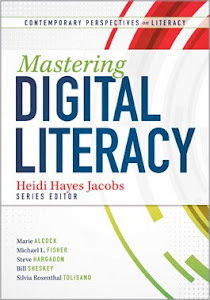 For those that have been mapping for awhile, it’s an opportunity to breathe new life into your maps, and rekindle conversations you may have pushed to the side in recent years, especially in relation to your own district’s resources. It should be noted too, that these are still drafts. As they are tweaked and revised, watch for changes that will eventually impact how you may use them. 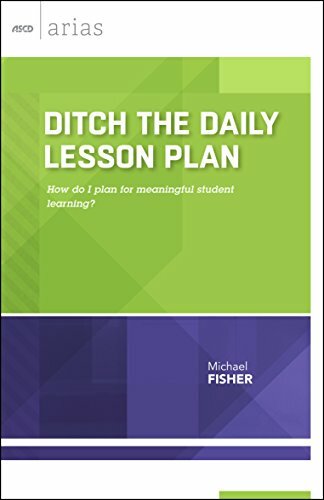 Follow Mike on Twitter at @fisher1000, find him on the Curriculum21 Ning, or on the ASCD Edge Community. I just tweeted out about those of you sitting in a "Back 2 School" staff meeting...sitting through canned agendas, listening to the same instructions for the tenth year in a row. All of those things are probably necessary, but what IMPACT are they really having? What IMPACT are YOU really having? You may be setting up your classrooms, getting all of your ducks in a row, but have you considered what is really going to change this year? How is this year going to be different than previous years? If you are sitting in one of those staff meetings right now, stand up. Stand up and say, "Let's do something real." Say, "Everybody think of the most successful thing you've done in education and let's share our collective power!" Say, "What is ONE THING we can all agree to do right now to have a positive, specific, and academic impact on our 21st Century Learners?" Say, "What do we really know about our assessment practices? Are we really teaching and learning the way we assess? 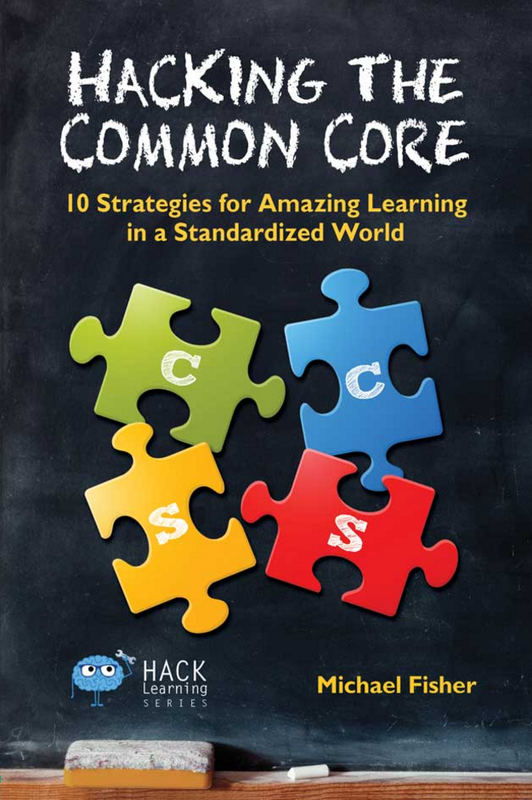 Do our assessments specifically align with standards-based content and skills?" Say, "Are we collectively preparing our kids for their graduation year, or are we holding on to the things WE value, and are really preparing them for 1975 or 1986?" The point is, disrupt the normal. Upend the traditional. Start this year with something new, something awesome, something real. Have a real IMPACT this year! This article in the LA Times today is unbelievable. Apparently, standardized testing has reached nirvana, and the unimpeachable data paints a crystal clear picture of student learning and teacher expertise. This is embarrassing. And furthermore, it is embarrassing that the release of the data related to individual teachers would be supported by Arne Duncan, who asks in the article, "What is there to hide?" I don't think the perspective is that of hiding anything, but of being held responsible for results that have too many variables associated with them. That alone isn't good science, but we still pour our hearts and souls into standardized testing and believe that they should be the sole measure of student learning. That's a big load of hooey. I mentioned this in a previous posting on Assessment in my eduACTion post, but when I go to the doctor, I don't want him to do one standardized test and base his diagnosis and treatment regimen solely on that one test. Likewise, it would be ridiculous to evaluate the doctor based on how he treats patients around this one measure. There are multiple ways to assess my health: the oral response to how I'm feeling and why I'm at the doctor; the formative, in the moment tests such as temperature, breathing, etc. ; and the standardized--all of which lead to the proper result. How do we know these tests accurately measure student learning against state standards? How do we know that the students didn't have a lucky guessing day on the day of the test? How do we know that something in the student's environment didn't impact that test score? How do we know the value of objective tests over constructed responses, multimedia products, or other alternative forms of assessment that break the tradition of instructional practices. Additionally, it was mentioned in the article that understanding the results of these tests would help to target those teachers that needed professional development. I think that says it all right there. The assessments aren't for the teachers. They are to understand what students know and are able to do. Also--assessment doesn't mean test. Assessment is about evaluation and IT IS NOT MEANT TO BE PUNITIVE--for anyone involved. But we've got to have that grade--and we've got to spin those numbers, so that the American public, who values only the version of education that they experienced, will feel comfortable about the education they believe their child is getting. But how do they really know what this "assessment" is and what the results really are? Everybody just wants a number...a high number...but a number is not a kid. So it feels kind of wrong to value these numbers over the kids, and then to attach teacher evaluation to those numbers being high or low, as they are as subjective as current educational practices. If the department of Education continues to value the archaic and ridiculous, then we as a nation should not be surprised when our children graduate from college and are only prepared for a world that is perpetually stuck in 1975. However, they'll be damn good test takers! Read the article yourself and feel free to respond. I think it's quite inflammatory and disrespectful, and highly illogical. What hotdogs are made of! 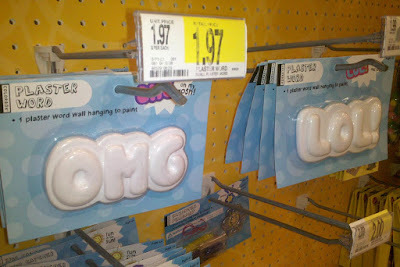 Check out what I found in our local Target store. It makes me wonder about how life and art interact with each other…whether it’s imitations, reflections, or just influence from constant usage. It also makes me wonder about traditional writing practice and what a teacher values about communication and processes over what a kid values. What’s the bottom line? Perfect grammar or communication? The ability to be articulate or the ability to transmit a message? Or perhaps do we just add a new audience consideration to our model, and let students develop what matters to them in the context of what they will experience as they learn to write for different purposes? For anyone that follows my blog or other online interactions, it’s no secret that I love, love, love LiveBinders as a Web2.0 tool. 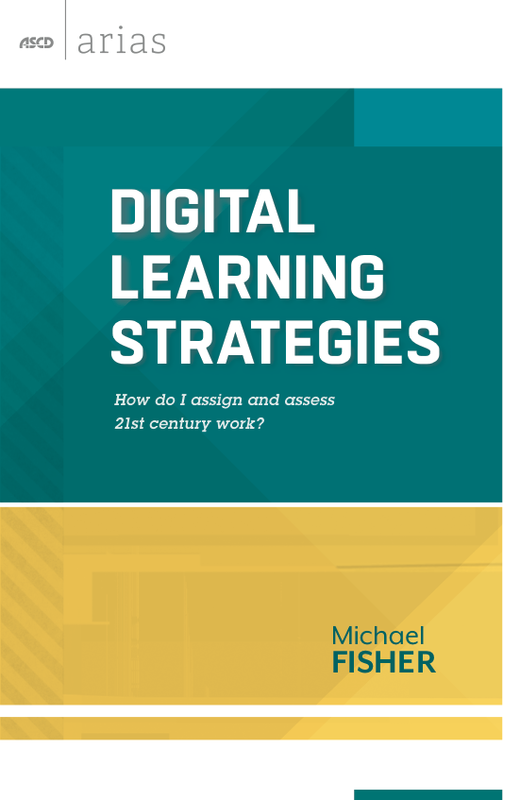 I do much work with teachers on finding appropriate, pedagogically sound ways to integrate technology tools, especially with an emphasis on research based instructional strategies. Note the tabs across the top that represent individual web pages (or in more dynamic binders, represent a thematic element or overall topic, with subtabs for content.) What’s great about this is that it allows the user to create a VISUAL representation in a neat, collected format rather than the same information just being a list of links. I was working with teachers this week in an Elementary School in Kannapolis, North Carolina. Our workshop was “teacher driven” and we developed in the moment what they needed to do their job well. They indicated that they were interested in creating “Virtual Learning Centers” and so I introduced them to LiveBinders. They were already using interactive websites for instructional purposes, and I was able to share some additional websites with them. We collected all of these into binders specific to content areas such as reading or math and I showed them how to save the links and create a visual “window shopping” version of these links. 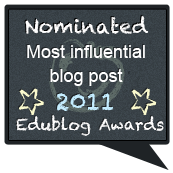 Since the blog post I wrote last week on eduACTions, I’ve been reframing a couple of things in the Professional Development I’ve been doing. Specifically, I’ve honed in on three areas that I think are the “trifecta” of where growth will bloom from as schools consider updating, upgrading, and “new-forming” their eduACTions. These areas put the ACT in eduACTions! ASSESSMENT: How are we showing evidence of learning? If everything we do is objective and summative, then how do we know for sure what our students know and are able to do? A couple of months ago, I had the pleasure of seeing a good friend, Jen Borgioli, present on assessment and what we should be considering when we paint a picture of proficiency. The summative is only one piece of the puzzle. Formative, in the moment assessment, needs to be happening as well. These formative pieces aren’t meant to be mini-objective tests, but multiple “snapshot” opportunities to determine curricular directions without waiting for an “end-point” (summative) assessment. The other piece of the puzzle is verbal assessment. Students need the opportunity to articulate in an oral way what they are learning. If they are unable to provide evidence of learning in the teacher’s valued framework, they need to have opportunities to do so in a framework they are familiar with: talking it out! Do you remember watching “Little House on the Prairie?” Do you remember the scenes in school? How many objective tests do you remember seeing? How did those students prove their learning? They wrote it on their individual blackboards or they said it out loud. I remember seeing some global, summative assessments, like when Laura was going to be a teacher. But, most of the assessment was formative and verbal. When was the last time you went to the doctor? What was the conversation and action? The doctor didn’t take a look at you and diagnose what was wrong. Most likely, the action started with, “And how are you feeling today?” The answers to that question, that you articulated orally, start to paint a picture of what your ultimate diagnosis and treatment will be. The next step is in the moment tests—things like temperature, blood pressure, etc. Finally, the doctor will probably do some standardized testing as well—blood tests, stress tests, etc.—tests that measure your capabilities and functions normed against an average or target. So in this one meeting, you are expecting your doctor to make a correct diagnosis and create a course of treatment specific to you and your needs. Sound familiar? The doctor is using verbal assessment, formative assessment, and summative assessment together to do what needs to be done to determine your specific course of treatment and his specific course of action. 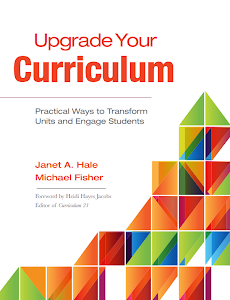 CURRICULUM: Take a look at the “what and the how” of what you are teaching. Are you teaching a dinosaur unit because you always have? Are you teaching a dinosaur unit because you as a teacher just enjoy it? Where do those dinosaurs fit into your standards? Are you teaching the dinosaur unit the same way that you did in 1985? The upgrading of curriculum is swiftly becoming an absolute necessity. If you haven’t updated your practice and methodology, then what year are you really preparing your students for? If you say that you are preparing them for 2020, and to be productive global citizens, then does your program integrate 21st Century skills and technology in task-specific ways? Does your program involve many opportunities for collaboration, critical thinking, analysis, and evaluation? Do the students own the learning in your classroom? Or does the teacher still control everything? 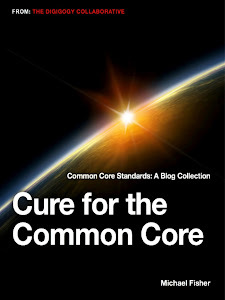 Does your curriculum consider upcoming changes with Common Core Standards adoption in your state? I hear teachers talk often about starting to address these changes as we move into the 21st Century. Well, guess what folks? We’re TEN YEARS IN! A full tenth of the 21st Century is over and where are we? Many of us are still living and teaching and learning with methodologies and content that is decades old. That said, we need to value the basis of what we do, but we also need to start enhancing the framework of our professional practice that gets us out of this time machine that we’ve set up. Our students already live in the 21st Century, except for between 7:30 and 2:30 on school days. We send them back in time to learn in ways that we, as instructors, value and not in the ways that the students value. We have to eliminate the Time Machine. We need to align curriculum in such a way that the WAY we teach and the WHAT we teach are specifically represented in a relatable way that matches the way students are being assessed. TECHNOLOGY: Well, you’re reading this on a website—so you’re probably already on board with this one. The main thing I want to say about this is something I’ve said before—technology can’t be in your teaching just because it’s there. It has to have a pedagogical purpose. It has to be task-specific and thought of as tools in a toolbox. A hammer is a great tool. When I need to hang a picture in my house, a hammer is the perfect tool to use. When I need to fix the toilet, a hammer is not going to be much help. I need a different tool. If I have the tools in my toolbox, then I can select the right one for the task at hand. Likewise with technology tools. You need a tech toolbox and so do your students. You and the students need to be able to select the tools that are appropriate for the job they have to do. You don’t want them walking around the house with a hammer looking for something to bang on, figuratively speaking. It also has to be represented on MULTIPLE LEVELS. A teacher using a PowerPoint is certainly using technology, but who owns the learning if the teacher did all the work? The kids need to be the creators. We need to value the creators over the creations, and enable the students to use the technology to build and construct knowledge. Additional considerations include access and comfort levels. We have to work inside your accessible frames as far as what is not blocked in your district and what hardware is available to you and your students. Nationwide, equity is a huge issue, but discussing that is great, but is not going to immediately change you and your students’ needs. Plan now to work with what you have, and be creative. As far as comfort levels…you don’t need to know how to fix the engine in order to drive the car. All you have to do is be willing to add tools to your students’ toolboxes that you may not intimately know. If students are going to “OWN” the learning in your classroom, be willing to let them teach each other and you. Just fill up their toolboxes—and in the process, yours will fill as well! When you think about ASSESSMENT, CURRICULUM, and TECHNOLOGY…what eduACTions are starting to form in your brain? What can you do to make a difference this year? How are you going to grow from where you are now? What do you expect of your students that you need to model yourself? It’s time to A.C.T.